With Valentine’s Day just around the corner, we’ve put together some gift ideas for the entrepreneur in your life. From note taking technology to co-working inspiration, here are some great tips to boost productivity and save time (meaning more of their time can be spent with you!). Help your entrepreneur to work smarter with the Bamboo Folio. 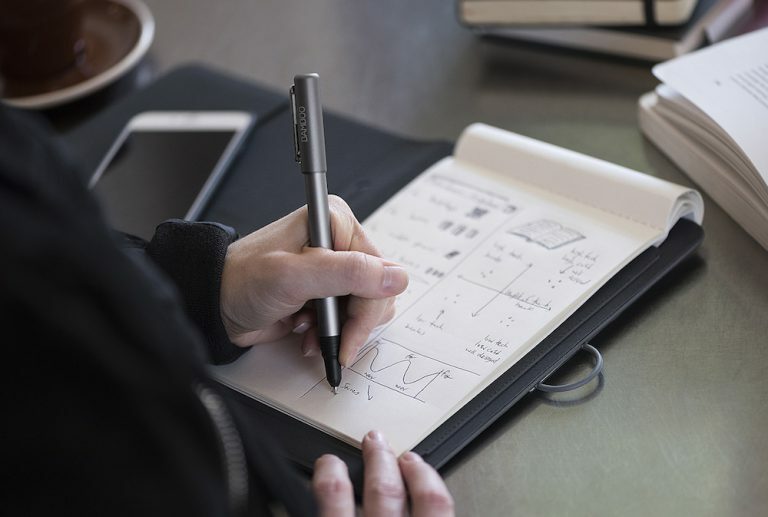 You just write notes and ideas naturally with a pen on any paper, then with the push of a button, Bamboo Folio converts handwriting into “living” digital files. Because sometimes there’s no substitute for a good hand-written note! Most entrepreneurs run on coffee, so why not give the basic instant options a miss in exchange for something that is actually enjoyable to drink? 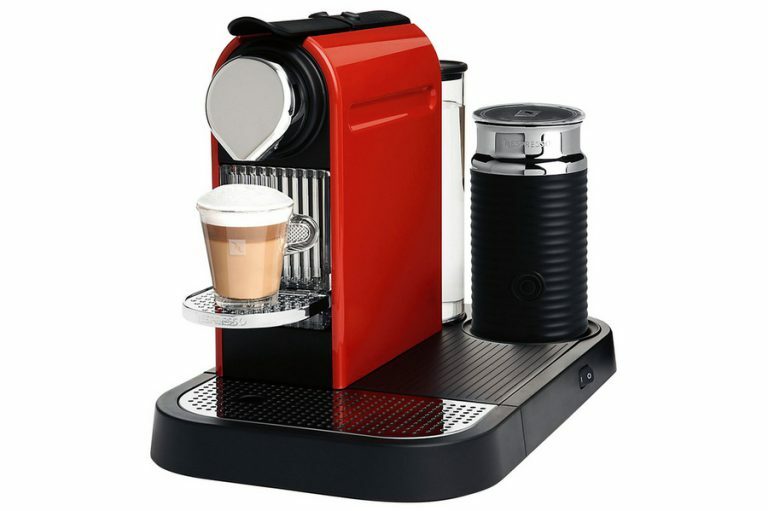 Nespresso has a range of different flavour pods to suit every taste for your Valentine – Ristretto and Espresso Forte are our members’ favourites! A good breakfast can set you up for a productive day, so treat your entrepreneur to a luxury breakfast. Edinburgh offers a whole range of delicious breakfast spots; how about french toast at Mimi’s Bakehouse? Or a bakery basket for elevenses at the Balmoral? Or for something completely different, try a bun maska dipped in spicy chai, or a bombay omelette accompanied by a Bloody Mary from new St Andrews Square restaurant Dishoom. Regular exercise is proven to improve sleep, increase creative energy and reduce stress, making a gym membership a thoughtful gift to improve your Valentine’s energy and productivity. 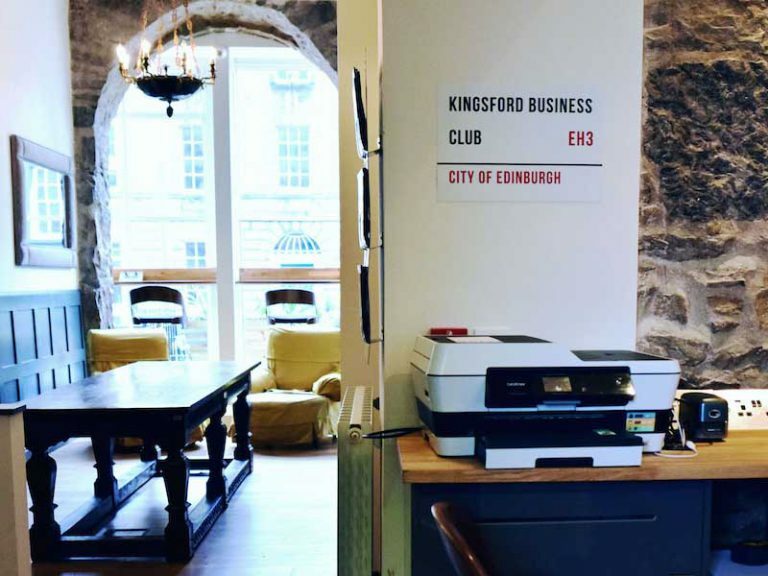 Kingsford Business Club members also get discounted membership and no joining fee at The Gym by Waverly station. Does your entrepreneur work from home or coffee shops? Give them the gift of a productivity with a space they can really enjoy working in.  Kingsford Office runs a luxury co-working space at 26 Dublin Street, with passes starting from just £35 + VAT. The co-working space offers unlimited tea, coffee and soft drinks, fresh fruit, superfast internet, printing, stationary, and of course the opportunity to network and collaborate with other inspiring entrepreneurs. Get in touch for more information!